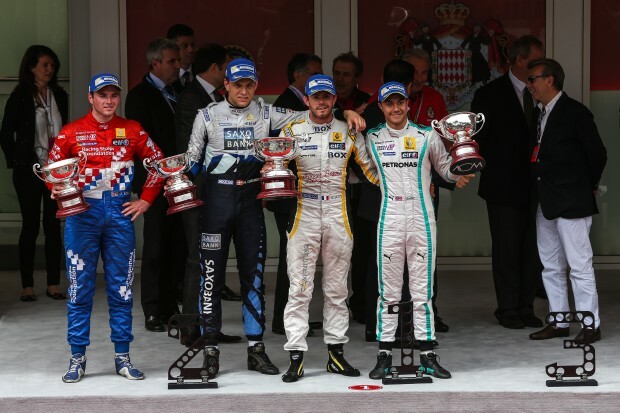 Leading international Malaysian driver, Jazeman Jaafar, raced to an excellent third place podium finish with ISR Racing in the fifth race of the Formula Renault 3.5 Series season at Monaco today. 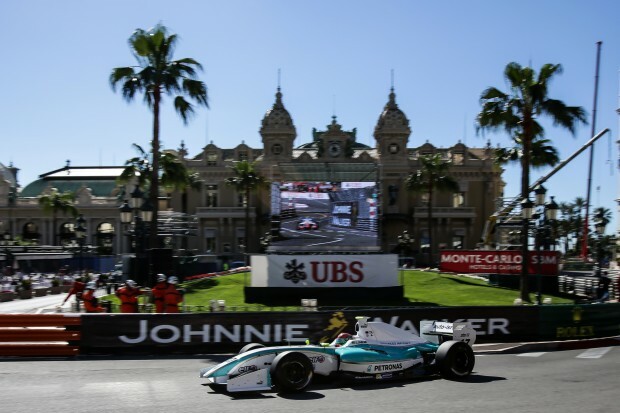 The jewel in the crown of the championship, the round is one of the support races at the Formula One Monaco Grand Prix with Jazeman and his rivals racing in front of huge crowds at the most famous motor racing event in the world. Jazeman had his best weekend of the season so far, driving at his best, featuring in the top three in every session and finishing it with a visit to the podium to receive his trophy from Prince Albert of Monaco. With only one race and a tight schedule, the Series only has one practice session and a split qualifying session ahead of the 45 minute race on the morning of the F1 Grand Prix. In Thursday’s practice session Jazeman was one of the front runners, never out of the top three and spending much of the time vying for the top spot in a duel with Carlos Sainz. It was the last few minutes of the session when the duo were narrowly beaten to the top spot by Norman Nato, but with only a few tenths separating Jazeman from the leader it was an excellent opening performance to the weekend. Jazeman carried his pace through to the qualifying session. With the grid split into two groups Jazeman was in the second group of drivers and was once again very quick. On his first set of tyres Jazeman had the upper hand, heading the timesheets, and pole rival, Norman, responded with a time just 0.1 seconds off the Malaysian. However on his final run the Frenchman improved to claim the overall fastest time and pole position for the race. Jazeman, with third fastest time of the combined sessions, was set to start on the second row with Carlos in third place, however a grid penalty for his rival elevated Jazeman to join Norman on the front row. Jazeman was ready for a fierce start to the race and although he made a good start when the lights went out, a hard- charging Marco Sorensen had a slightly better start off the line and pipped him for second position. As with all street tracks, Monaco is notorious for being difficult to overtake on and for Jazeman this proved to be the case. He looked for opportunities whilst also defending his position from Carlos in the closing stages. With strong determination he held his podium finishing position, to cross the line in third, his second consecutive third place at the track in this series. Jazeman’s season continues with two races at Spa-Francorchamps in Belgium next weekend.